Today sees Titanfall 2 enter the Origin Access Vault, a collection of EA games that you can play whenever you want for $5/£4 per month. Usually we’d write up this kind of announcement as a small news story and move on, but this is more than a mere subscription update footnote. Titanfall 2 is a masterpiece of our time and one of the absolute best FPS packages you can buy today. The fact you can now play it alongside a fistful of other great EA games, and all for the price of a half-decent craft ale each month, is pretty much the bargain of the century. Titanfall 2 is without a doubt one of the best FPS games on PC. You could be forgiven for not noticing the practically unanimous praise Titanfall 2 gathered when it was released back in November 2016. That’s because EA decided – apparently through some kind of inverted logic – to release Respawn’s new shooter the week after Battlefield 1, which happened to also be the week preceding Call of Duty: Infinite Warfare. 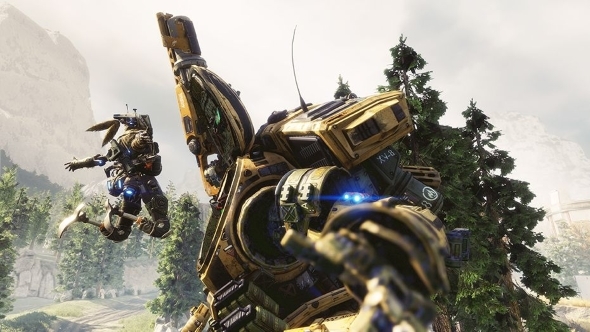 Such a release sandwich meant that Titanfall 2 never saw the sales and appreciation it deserved, drowned out by two return-to-form entries in gargantuan franchises. 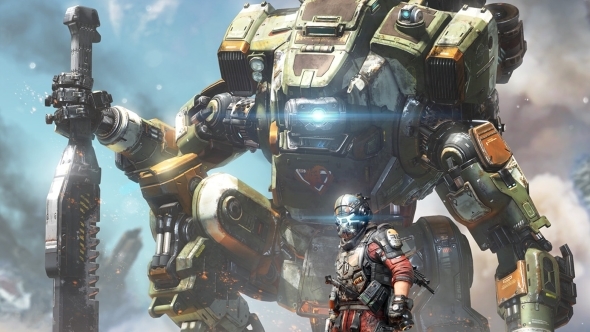 But now that the dust from both Battlefield 1 and Infinite Warfare has settled, your attention should land firmly on Titanfall 2’s new home on Origin Access. Why? Well it simply does everything an FPS should do, and in a manner so stylish it practically leaps over the heads of its rivals. It’s movements systems are sublime – as a pilot, you grapple and wall-run with a fluidity that the developers of Mirror’s Edge should certainly want to covet. And then, when controlling your Titan, things are weighty and solid; there’s a real sense of it being a mechanical extension of your body. And the guns. Oh, the guns! Assault rifles chatter with a chorus of muzzle flash and ejecting brass cartridges. Bullets thwack through bodies and zing off metal hulls. The combination of sound design, responsiveness, and sheer brutal impact of each round makes Titanfall’s gunplay the best in its class. Nothing in the entire FPS sphere compares to swinging around a building, 30 feet up, while firing magnetic grenades at an enemy Titan. To experience the very best ideas the game has you’ll want to jump straight into the Titanfall 2 campaign the moment the files have finished downloading. It’s where the largest slice of smart decisions lie; incredible ideas that are constantly served up with a frequency not even Valve achieved in their single-player heyday. With that completed, you’ll be ready to mech-up and stomp into the multiplayer arenas. Despite being overlooked last year, Titanfall 2 is pulling in a million players each month right now. This is most likely due to Respawn’s focus on long-term support, delivered via free DLC (of which the game has had six servings of so far). That’s a concept alien to those previously mentioned shooters it released between. So far we’ve seen new maps, new game modes (including the tense, 6v6 one-life affair Live-Fire), and the Monarch, a brand new Titan class wielding a car-sized machine gun. But it’s the recently released Frontier Defence I want to talk about; an exhilarating four-player co-op horde mode. Frontier Defence takes a different look at the Titanfall 2 formula. 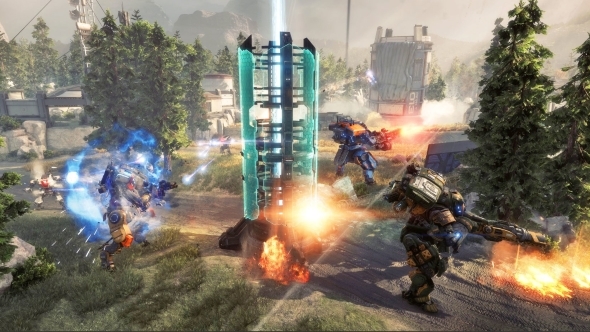 Where standard multiplayer modes are typically fast bursts of wall-running action punctuated by explosive mech executions, the new co-op mode is an exercise in endurance. Each game is split into five waves, with a touch of downtime in between to prepare for the next. The attacking forces are seeking to destroy your harvester (a lore-less McGuffin that even the tutorial knowingly brushes over), and so they must deplete its regenerating shields before chipping away at its health bar. Attackers come in a variety of forms depending on the map, but can be anything from human grunts with rifles, right up to nuclear-cored Titans that are looking to self-detonate on top of your precious objective. The beauty of Frontier Defence is how it mixes up traditional wave-defence mode components with elements that make it distinctly Titanfall. Horde games typically require you to stay hunkered down in a spot, unloading magazine after magazine into unrelenting tides of enemies. Frontier Defence forces you to run all over its sizable maps, attempting to prevent the strongest enemies from gaining line-of-sight one moment, then quickly returning to your backlines to keep your last-ditch turret defenses repaired. The harvester’s greatest enemy is the mortar Titan, which sets up in the furthest corners of the map, beckoning you to saddle up in your own mech and go beat the nuts-and-bolts out of it. Between waves, you’re provided with a bit of cash that you can spend on amping up your weapons, buying traps, and – demanding the highest payment – an instant regeneration tool for the harvester’s shield. But after that short spot of shopping respite it’s back to swinging from buildings on your grapple hook, double jumping from rooftops onto the back of enemy mechs, and melting down Titans with your overcharged Laser Core. Less than a handful of dollars (or, indeed, any other currency) is all you need to experience the satisfying, groaning crunch of a Titan’s steel armour being torn apart by the hands of another. If you ignored the game at launch because you were tempted by the flashy grandeur of Battlefield 1 or Call of Duty’s space-age toys, this is your chance for redemption. Play Titanfall 2, cleanse your soul, populate the servers, and prevent Respawn’s masterpiece from becoming the FPS tragedy of our time.